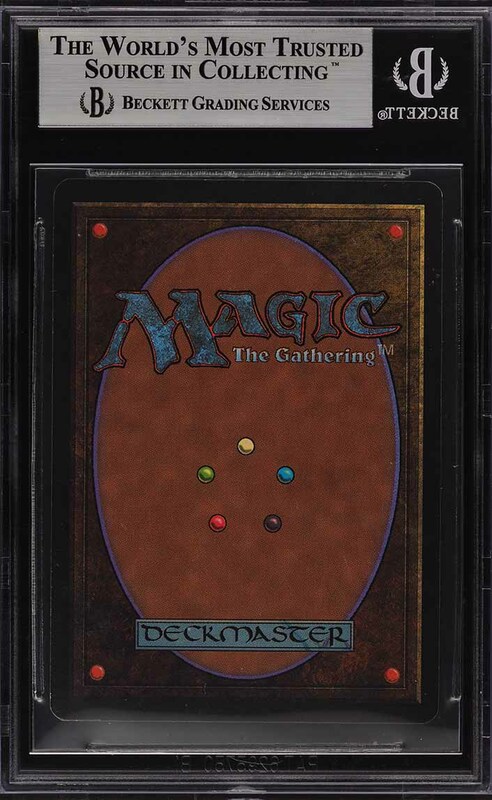 A must-own MTG card up for bid this month. 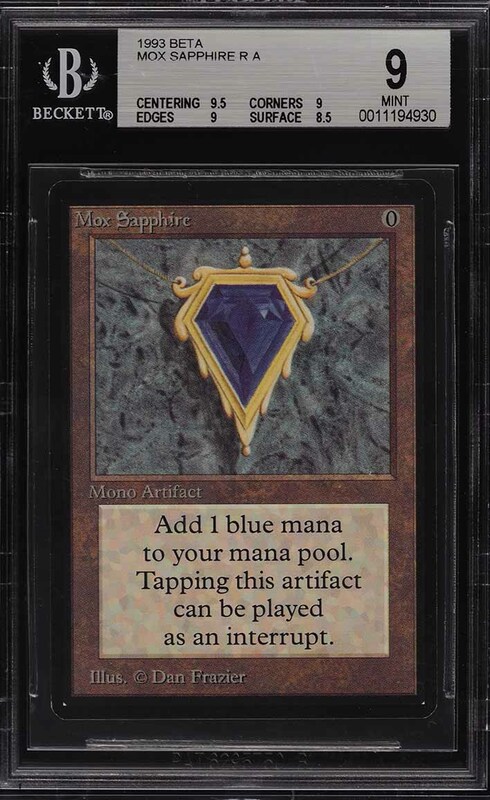 Easily among the most important artifacts ever created, the Mox Sapphire is one of the original five Moxen's and is said to represent true power and beauty; an accurate description to the mesmerizing illustration from Dan Frazier. 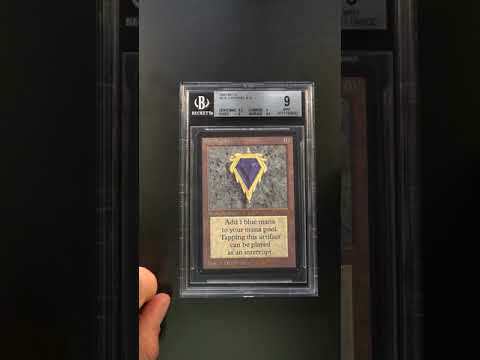 Completely unbalanced and extremely powerful, the Mox Sapphire has been banned/restricted from all DCI tournaments and is a member of the coveted power 9. Widely known as the toughest card in the entire set to grade highly, this is due to the large print marks, and centering shifts. The offered example is truly something special with near perfect centering along with strong MINT edges and corners. The surfaces show very well for the subgrade with elegant color and a museum caliber illustration. With its immense popularity and the vast majority of these cards being actively used in decks, it's no wonder a card of this caliber is so difficult to locate in such high-grade. No question, the demand for this card far out weighs the supply. A wonderfully preserved card which represents a sound magic/non-sport investment. Part of a magnificent run of high-grade Magic The Gathering examples on the auction block this month. One of nearly 15,000 cards, lots, and sets up for bid in our 4th Auction of 2019. Click on the link above to view the other PWCC auction lots. The PWCC Vault is now live! Open a PWCC Vault account and receive a custom Vault shipping address. Purchases shipped to the Vault receive free shipping and reflect Oregon's 0% sales tax rate.